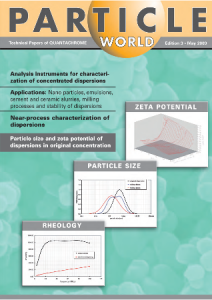 Our published magazine PARTICLE WORLD contains numerous reports about challenges and results from characterizing of particles, powders and pores and showcases applications from industrial branches. We introduce new analytical methods and discuss new norms and operational procedures. 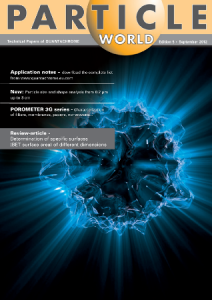 The magazine can be downloaded in lower or high resolutions and can be used to either answer specific questions or serve as a base for scientific discussions with us. 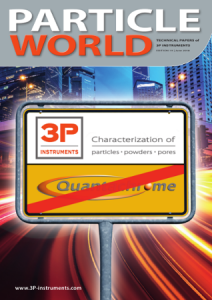 The new PARTICLE WORLD issue informs about the restructure of QUANTACHROME to 3P INSTRUMENTS. 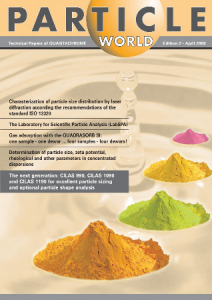 We switched to PARTICLE WORLD edition 19 to close the gap to the German PARTICLE WORLD issue. 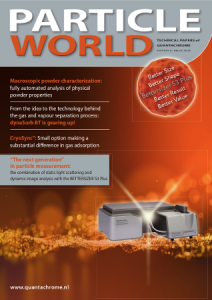 Starting in January 2019 we will publish a new PARTICLE WORLD edition every year. 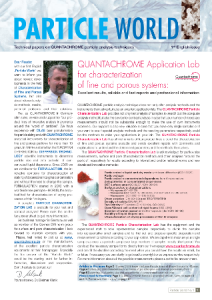 Why use a microfluidic rheometer? From the idea to the technology behind the separation process: mixSorb L is gearing up! Why do we measure surfaces and pores with Argon and Krypton gas adsorption much more often in future? We welcome you to Leipzig for two gas sorption events in 2019! From the idea to the technology behind the separation process: dynaSorb BT is gearing up! 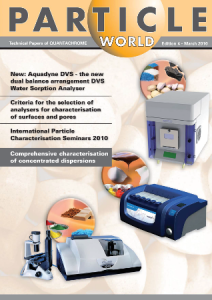 POROMETER 3G-series: characterization of filters, membranes, papers, nonwovens..
Gas adsorption with the QUADRASORB SI: one sample – one dewar … four samples – four dewars!